There are plenty of stories in the car industry of designs which died on the vine, and never saw the light of day – much less a production line. Part of the Lotus Cars history involves a car, which never proceeded beyond a single running prototype. It was given the codename the M90, later renamed X100. 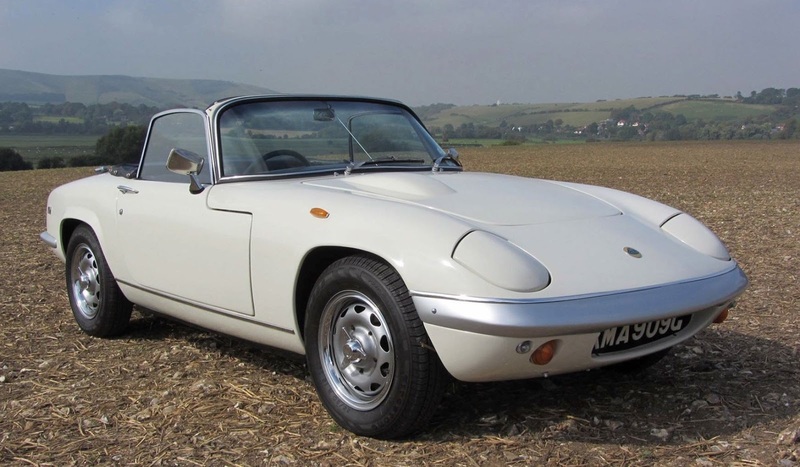 The car, intended as a low price, entry model into the Lotus family, was referred to internally as the ‘new’ Elan. However, Lotus founder and principal, Colin Chapman (left), was very cool on the whole concept. At the time of the early discussions, Lotus was earning significantly improved profit margins from its Elite, Eclat and Esprit models, and it was Chapman’s opinion that despite a reasonably robust business case put forward by MD Mike Kimberley and Marketing Director, Roger Putnam, he was not convinced the investment would reap a high enough return on investment. Lotus’s ongoing financial position could perhaps more accurately be called a ‘predicament’, because despite Chapman’s engineering brilliance, Lotus was always sailing close to the wind, and a major slowdown in any of its markets always had a severe knock-on effect to its profitability. All of the company’s early success, and its image, had really been formed by Chapman’s original marketing proposition – that customers bought their cars in kit form, and handled the build themselves. Elite and Esprit had allowed Lotus to move significantly away from this image, and was something both Chapman and Kimberley wanted to accelerate. If customers had expected an entry-level Lotus to be sold in kit form, that was not an option as kit cars had been killed off by recent Government tax changes. 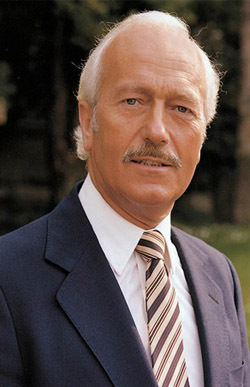 Colin Chapman made a rather caustic observation, at the time, quoted by Mike to me recently. Chapman had said: “Making higher volumes of less expensive entry-level Lotus cars meant that we would be ‘Busy fools'." In 1978 Kimberley and Putnam managed to get Chapman to agree to the build of a prototype, but it took the return to Lotus of designer Oliver Winterbottom in 1981 for the first model to be developed. 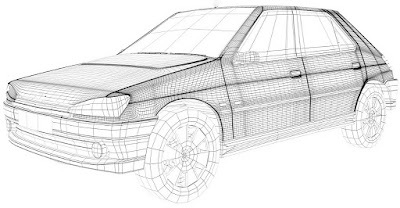 Winterbottom’s first drawing was a coupe, which was not well received initially, as the Lotus Board thought it looked too much like a Porsche 928. However, a clay model was built and several studio review meetings were held with Chapman, who according to Kimberley, remained lukewarm. 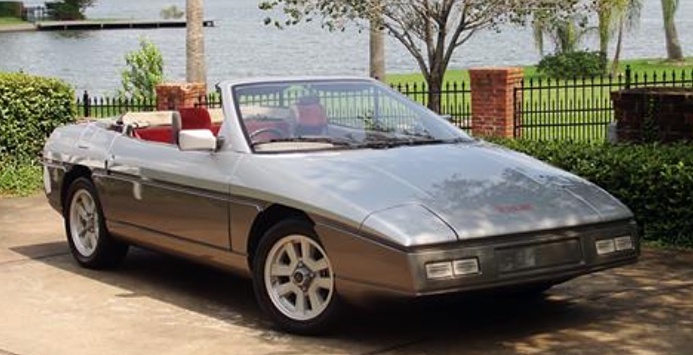 Chapman’s death in 1982 meant the program effectively stalled, and it wasn’t until 1984 that the one and only M90 convertible was created. It was intended to be a full, running prototype, using the very latest all new Toyota all-aluminum twin cam engine, plus all the latest TMC running gear. 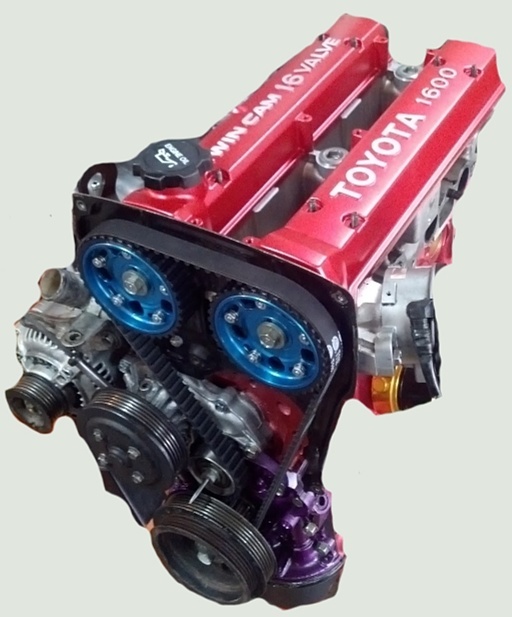 So, as the project received more internal stimulus, Winterbottom redesigned the prototype to use the Toyota 4A-GE 1.6L all-alloy twin-cam engine, which had benefited from the technology agreement between Lotus and Toyota, initiated by Mike Kimberley. My own connection with this car was distant, and very loose, but real nonetheless. As PR Director for Jaguar Rover Australia, I worked directly for the company’s Deputy Managing Director, Jack Heaven. 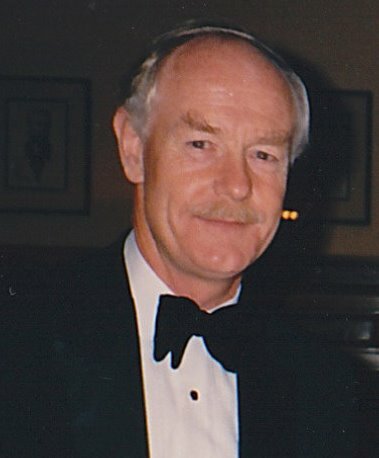 Jack was an astute businessman, and one of his responsibilities at the time, was to identify vehicles from around the automotive world, which JRA could build up from CKD kits, in order to utilize spare assembly capacity at the company’s sole remaining assembly facility in suburban Sydney. 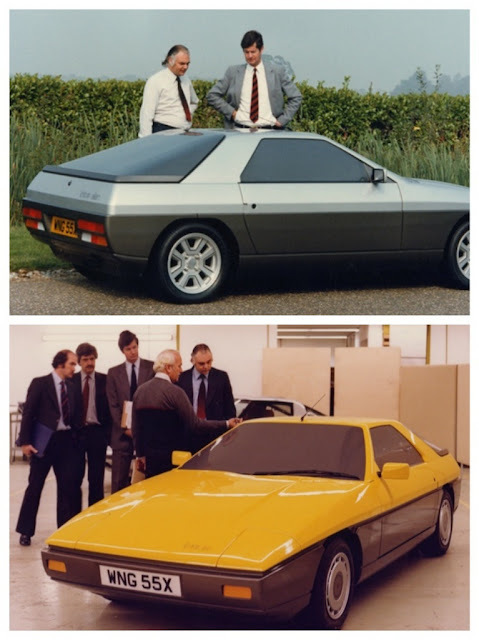 One day in 1984, after a product planning meeting, Jack Heaven told me that during his most recent trip to the UK to try and find candidates for CKD assembly, he had heard about a new low-priced, entry-level Lotus sports car, which Autocar had reported would be the ‘new Elan’. 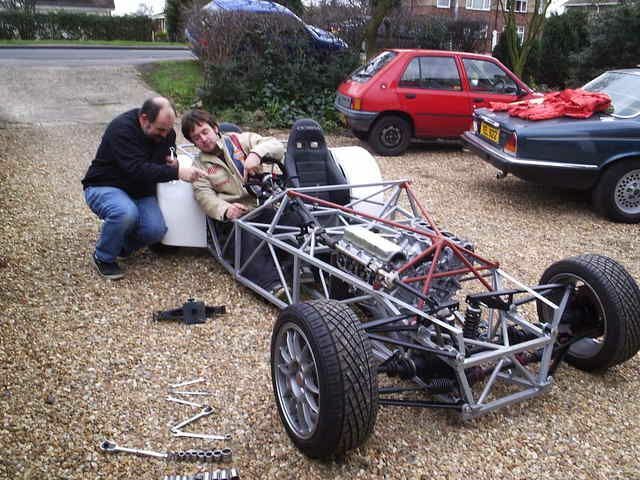 Jack Heaven decided this would be an ideal car for assembly, given Lotus’s experience in designing its early cars as ‘kits’, and he assumed that given this engineering approach, it would be no problem to import kits from Lotus and build them as a viable, and profitable, contract assembly job. We worked on a proposal, which Jack sent immediately to Mike Kimberley, confident that with all the ‘I’s dotted and ‘T’s crossed, the reply would be favourable. However, when the reply from Lotus finally arrived the project stopped right there. According to Jack Heaven, Kimberley’s response included ridiculously high kit pricing, unrealistic quality control measures, and equally unrealistic volume expectations. Nice idea, but no dice! Mike Kimberley tells me now that he was very cool on the whole idea from the beginning, because Lotus was trying to distance itself from its former ‘kit car’ image, and in reality it would have little or no control over the quality of the finished cars, which could well damage the Lotus name. Although no copies of the response now exist, Mike Kimberley told me recently that all the demands he made in the reply were intended to completely stop JRA’s plans to introduce the M90 as a CKD project. 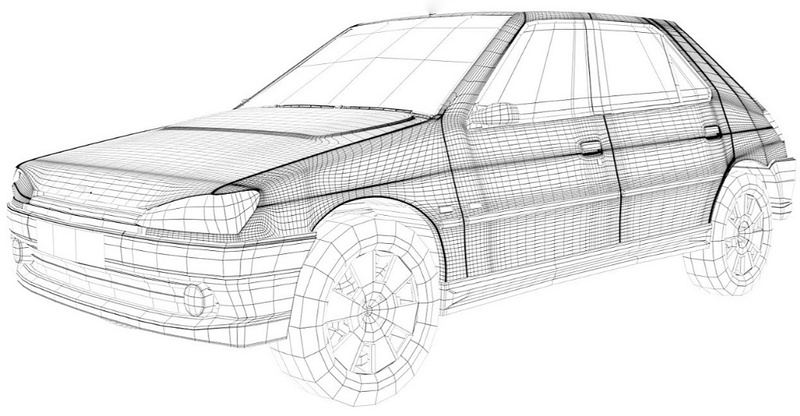 And, here was me, making plans for my new company car to be a Lotus convertible. The only M90 prototype was ‘mothballed’ in a shed at the Lotus factory at Hethel, due mainly to a misunderstanding between the Chairman of Toyota, and the Chairman of General Motors. Apparently, at the time (1986) GM was about to acquire all of Lotus (including Toyota's 22%); but GM Chair Roger Smith did not formally disclose this to Mr. Toyoda (his partner in NUMI) as the deal progressed to finality. Mr. Toyoda was so upset that his 'friend' Roger Smith had not revealed his plans, that although Toyota sold its stake to GM, Toyota only maintained supply of components to Lotus which had actually been contracted. This meant that all the components to bring M90 to market, would never be supplied. In 1988 it was sold with a batch of other stillborn Lotus prototypes by Coys at an onsite auction. The M90 was acquired by an American who shipped the car to Texas, and the last heard of the prototype was that the new owner was searching for enough parts to make it a runner. 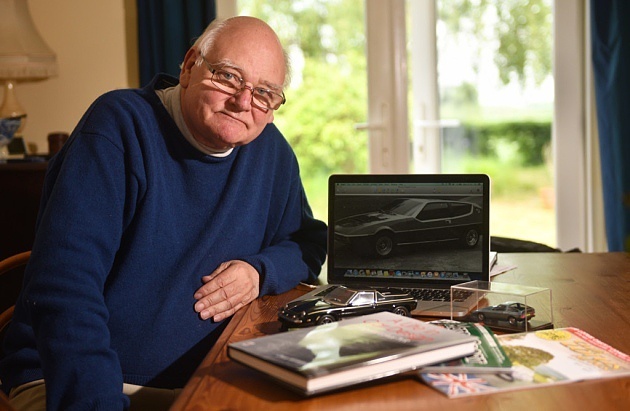 Oliver Winterbottom published a book called “A Life in Car Design”, which includes all the intimate details of the M90 project from start to finish. That is, with the exception of my own plans for a new Lotus as my company car.